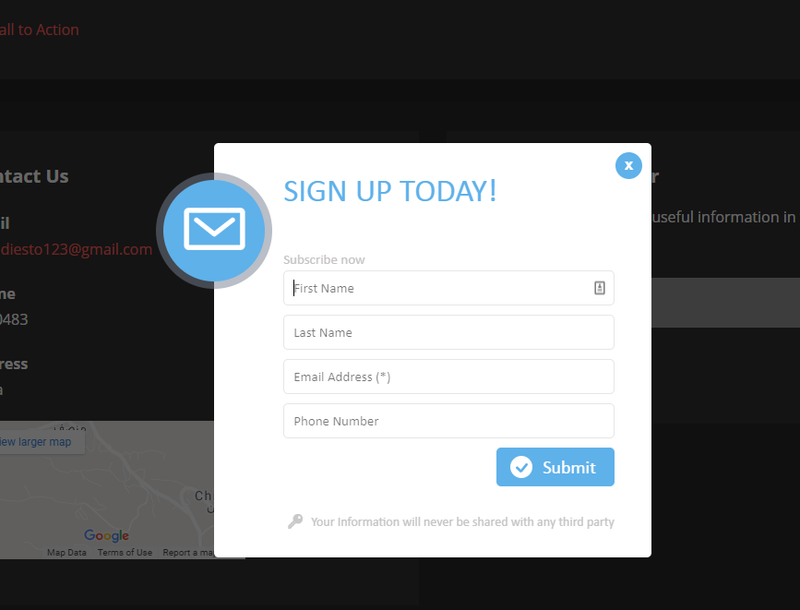 You can trigger smart popups and messages on your website by using the Webhook feature available on your account. 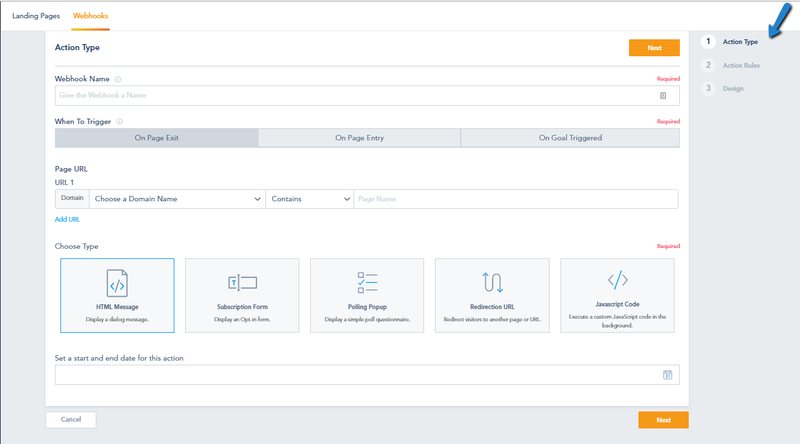 To get started with Webhooks, click on Builder > Webhooks from the top menu. Page URL: where to execute it (you can use multiple) or once a Goal is triggered. You can also Set a start and end date for this action. Note: The On Exit Trigger only works for desktop screens for now and is not supported by mobile/tablet touch screens as of now. Target Users: All Visitors, Contacts, or Anonymous. Device Filter: All Devices, Desktop, or Mobile. PPC Referral Network Filter: Google, Bing, Facebook, Twitter, LinkedIn. Action Frequency: Repeats or One Time. 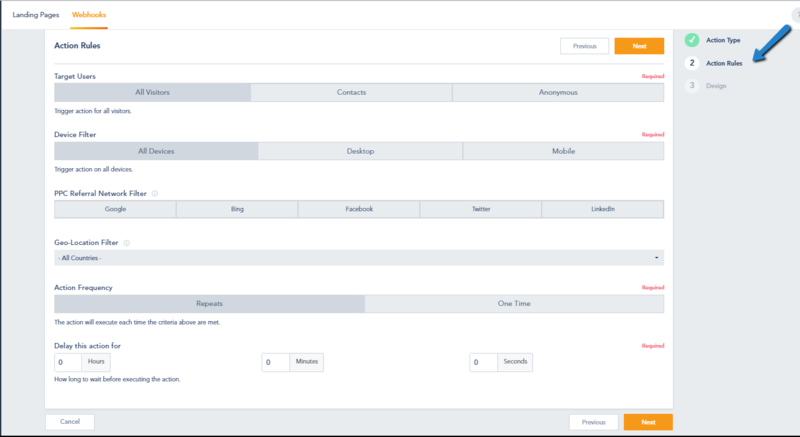 Example: Trigger an Optin Form Popup, for all site visitors, from the United States, who came from a Google Ad Campaign, 25 seconds after they visit the pricing page. This is where you can visually edit your content, media and labels for that Webhook. Split Testing is also available so you can test different variations of your Webhook (split testing supports up to 5 test variations). 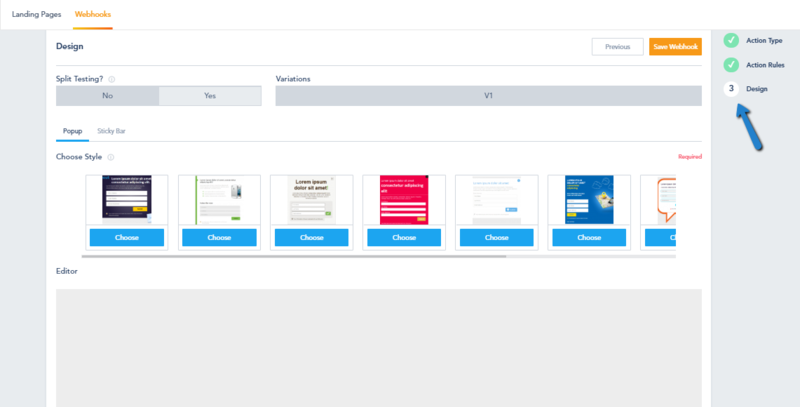 With Split Testing you could test multiple versions of your popup, along with the winning criteria and let the engine pick the winning variation to take effect after the test period ends. Once you are done with this step, you can click on Save Webhook. Once you save the Webhook, you can control it’s status from the Webhooks screen. To disable the Webhook toggle the on/off switch. Note: The color editor included within the visual Webhook editor can be used to edit text colors and background color. This won’t work if you are trying to change the background color of the entire Webhook, the submit button or the color of the form fields.